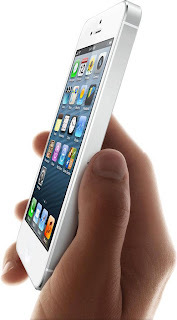 The wait for Apple iPhone 5 in India is soon going to end. According to news reports, the company will introduce the smartphone in Indian market on next Friday i.e. November 2. Apple’s master distributors- Redington India and Ingram Micro are expecting the stock by two to three days. The two are expected to start booking pre-orders within a day or two, reports said. Since Apple sells only unlocked phones in India, other carriers and other resellers too may be able to sell iPhone 5 now by directly buying in bulk from its master distributors. Earlier, Apple had officially rejected the rumours of its latest offering of the iPhone 5 to India on October 26. The internet was abound with news after the BGR India reported, that Apple is set to introduce the new smartphone in the country on the last Friday of October. An Indian news portal had contacted Apple if the October launch date was accurate, Apple had replied through an email, which said, “We have no announcement to make at the moment on a launch or price of the iPhone 5 in India. There is speculation in media and we don’t comment on speculation”.